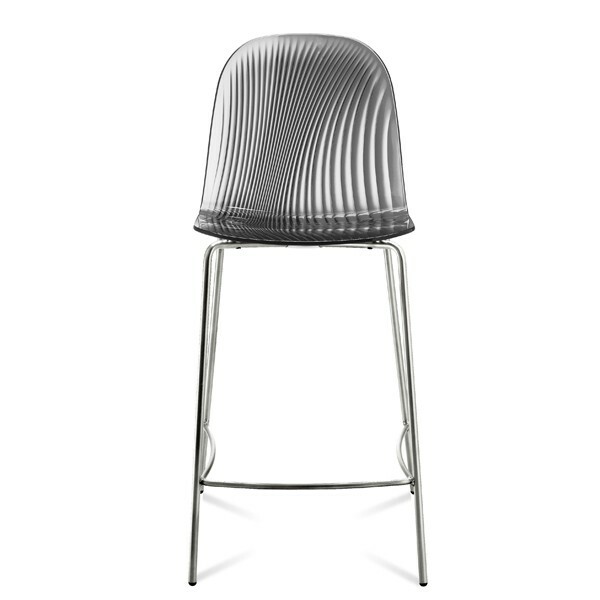 A fresh and fun modern stool. 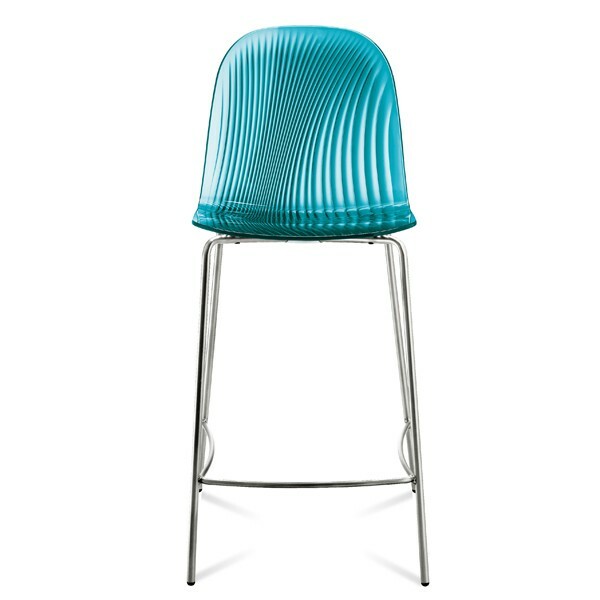 The acrylic seat has an organic ribbed design on the back, reminiscent of a shell on the beach. The legs are chromed steel tube. 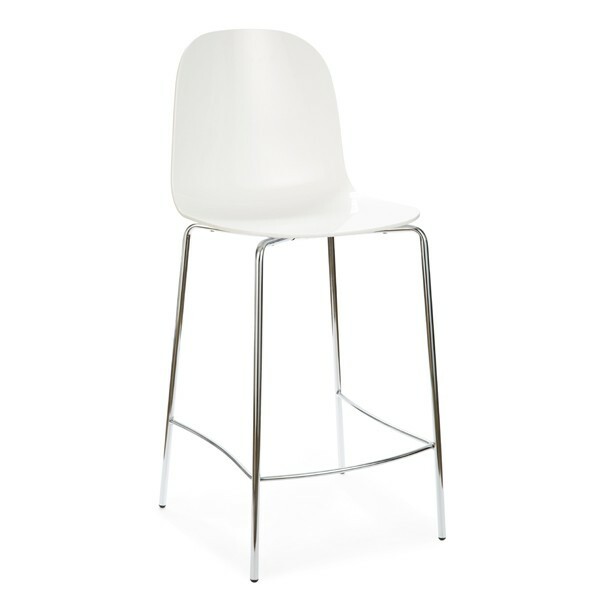 A matching dining chair is also available, see related products below.